Your team suit has a custom logo. Please be sure of your size. It is not returnable. All orders placed by “10/07/18” have the option of being delivered to your school with no ship charge. Just enter coupon code “ MARIST” in the navy cart box on the left of your screen. Orders will be held and shipped together in 2-3 weeks from your cutoff date. WASP There will be an additional 20% discount if the team purchases 12+ parkas. SDUS+Marist Marist logo is on the right rear hip. 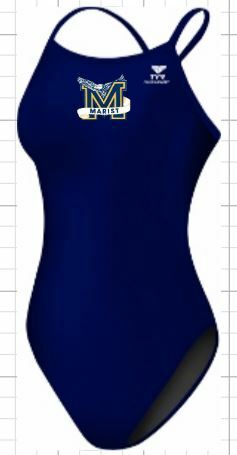 RDUS+ Marist Marist logo will be on the right rear hip.